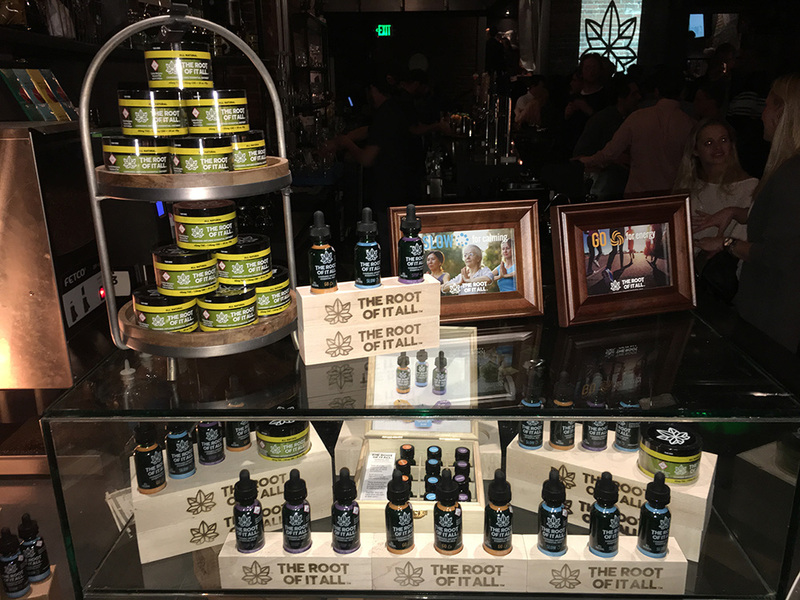 January was a busy month for us, from starting another year to launching in new dispensaries, we had our hands full. In the middle of January, we partnered with a handful of select LivWell Stores for a series of pop-up events. 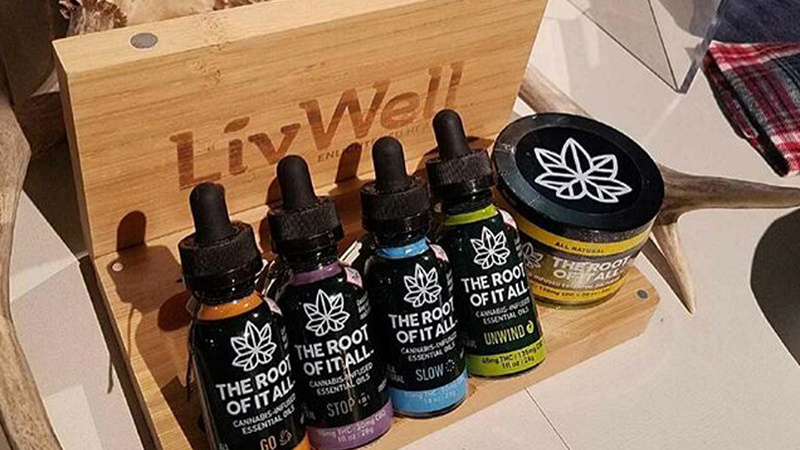 It was amazing to meet you, hear from you, and answer any questions you had… and good news, with your help and engagement, The Root of It All will be available in more LivWell Stores! We are beyond excited for this new step and can’t wait to see what the future holds! Check out our “Where To Buy” section to find the closest dispensary to you and discover a life rooted in wellness! Your favorite brand is now available in California! The Root of It All™ is hitting the shelves in local California neighborhoods. We are beyond excited for this announcement and we can’t wait to see what the future holds for The Root of It All™. So, we’re asking you, our TROIA family, to share your love for our company with anyone you know in California! Help us continue the TROIA movement as we branch out and expand our reach! You may have started to notice a theme here at The Root of It All™; we are big on taking care of oneself. Whichever day you deem dedicated to YOU, the message remains the same. Taking care of yourself and doing what makes you happy is what we here at The Root of It All™ are passionate about. Self-care comes in many forms and is going to mean different things for everyone, but it is so important to carve out that time to be your best self! We all have long days, and sometimes those days turn into longer weeks. How we deal with life’s ups and downs is going to be unique to each of us. The Root of It All™ is on a quest to help others discover a life rooted in wellness no matter what life throws at you and we do so by creating products formulated for everyday conditions. Whether you’re feeling stressed, run down, or those nagging joints and muscles are giving you trouble, The Root of It All™ is here for you. Look we get it; everyday life comes with stress and sometimes those stresses can pile up and feel like a burden. That’s where our new product EASE for stress relief comes in handy (only available in California). 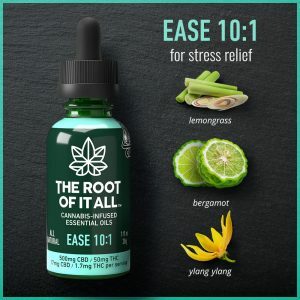 EASE utilizes a 10:1 ratio of CBD to THC to help you quiet the noise. This essential oil blend is formulated with a powerful Ayurvedic blend of lemongrass, bergamot, and ylang ylang. These ingredients are all known to calm restlessness, promote comfort and a quiet mind. So, if you are looking to release your worries, leave you stress behind and escape to a state of tranquility with EASE. Sometimes all you need is a mountain, snow, and something to shred with to get back to your natural self. Whether you’re skiing, boarding, hiking or just being active, making time to enjoy what you love doing most is a priority we can all agree on. Self-care can come in many forms, however, at times an active type of self-care can leave your body sore and aching. Look no further than REWIND for restoration, our essential ointment designed to ensure fast, localized relief every time. 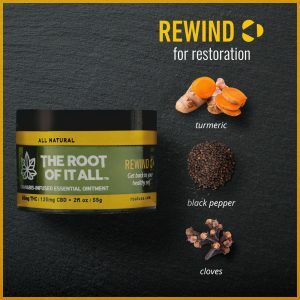 REWIND boasts a soothing Ayurvedic blend of turmeric, black pepper, and cloves. We selected each of these ingredients for their restorative and relieving properties. So, when those lingering pains pop back up, reach for the natural option and restore your body with REWIND. No matter what self-care means to you, no matter how you go about it, we can all agree that making some ME time is important to our well-being. So, whether it’s going to a yoga class, jamming out on your guitar, carving up the slopes, or just binging a new show, The Root of It All™ is here to help take you through every pace of your day. And as always, don’t forget that we’re social! Follow us on Instagram, Facebook, and Twitter! Tag us in a post and use #ForMe to let us know how you’re working on self care! Something Is Sprouting Up in Colorado! Pop-up Events Happening this Month at LivWell! Have you been curious about trying The Root of It All? Still unsure about which of our products is perfect for you? Here at The Root of It All, we have products designed specifically to take you through every pace of your day. Our exciting formulas are cannabis-infused, plant-based, and allergy friendly. They are available as both ingestible essential oils and an easy-to-apply topical ointment. Our condition-specific remedies include: GO for energy, SLOW for calming, STOP for sleeping, UNWIND for recharging, and REWIND for restoration. Whether you’re looking for more energy, a deeper sleep, or relief from aches and pains, now is the perfect time to try The Root of It All! 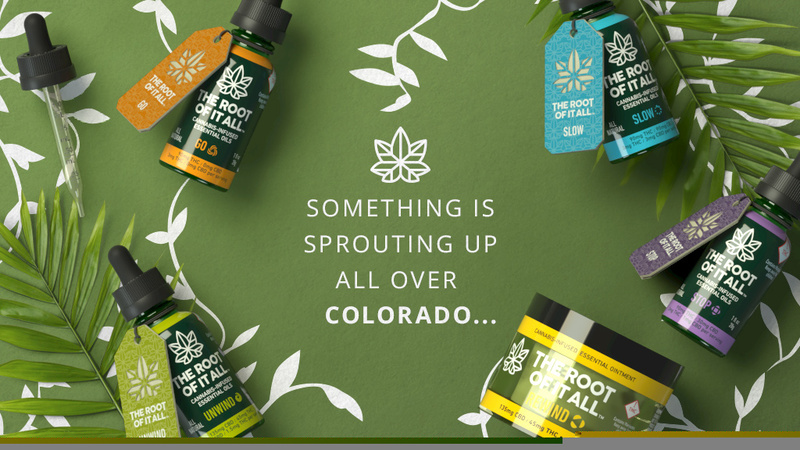 If you’re located in the Colorado area, our friends at LivWell are hosting The Root of It All pop-ups events, and we would love to have you stop by! Check out these dates and times to see if a LivWell near you will be hosting an event. And as always… WE’RE SOCIAL! Follow us on Instagram, Twitter, Facebook, and LinkedIn and don’t forget to tag us @therootofitall for a chance to be featured! The Root of It All™ Taps into the Ancient Power of Ayurveda! Heard of “Moon Milk”? You will! 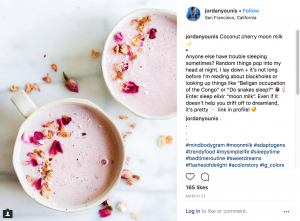 An Ayurvedic remedy for sleeplessness, “Moon Milk” (a new drink trend from just last month is growing on Instagram and promising to end sleepless nights). 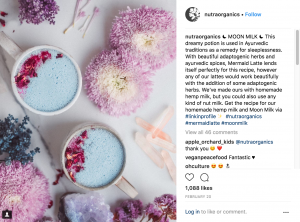 Turns out Moon Milk is actually a potion made with adaptogenic herbs and ayurvedic spices. Utilizing Ayurvedic herbs like cinnamon, cardamom, nutmeg, ginger and honey this trending tea makes a tasty nighttime beverage, which is said to help digestion, regulate your mood and detox your body. It’s ancient tradition meets social trend…It’s rooted in Ayurveda! 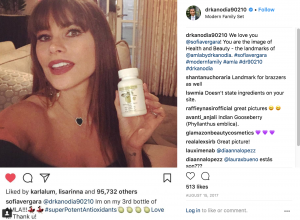 Even Celebrities are discovering Ayurveda medicine and wellness approaches, like the humble Indian gooseberry. Holistic, ayurvedic wellness, is gaining traction with Dr. Raj Kanodia, a popular plastic surgeon in Hollywood, who is recommending it to clients looking to keep their skin healthy and youthful. Endorsed by stars such as Kim Kardashian West, Britney Spears, to top models like Cindy Crawford & Joanna Krupa, and Modern Family darling Sofia Vergara. And Ayurveda isn’t just for celebrities – it’s for everyone! Don’t believe us – try this quiz to FIND YOUR AYURVEDIC BODY TYPE WITH A FREE DOSHA QUIZ, compliments of Joyful Belly to get you started on the path to wellness! Ayurveda is literally everywhere these days! So what is this “Ayurveda” all about? Is it skincare? Food? Powerful Plant based remedies? A Wellness mindset? Movement? Trend? Or a little of all of these? Our environment has profound impacts on our health. 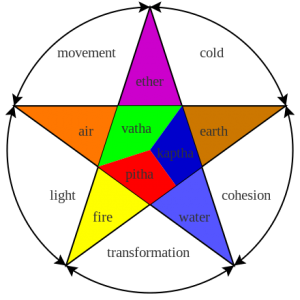 One Ayurvedic view is that the doshas are balanced when they are equal to each other, while another view is that each human possesses a unique combination of the doshas which define this person’s temperament and characteristics. Good example of this is Meditation – a common practice in the Ayurveda System used to calm one’s mind and body, balancing one’s temperament and characteristics. Scientific researchers have shown in clinical settings that mindfulness meditation can reduce both anxiety and depression, as well as pain. The best example of how powerful meditation can be was recently found in the story of the Thai Cave Rescue – where a coach used Buddhist meditation to keep 12 Thai boys alive and calm, while trapped in a cave for more than 10 days with limited food or water before they were finally discovered and rescued. In both cases – Ayurveda says that each person should modulate their behavior or environment to increase or decrease the doshas and maintain their natural state hence reaping good health and fighting off imbalances which lead to fear, distress, or even disease in one’s body. So Ayurvedic Remedies Come From the Earth? YES. Plant-based treatments are often used in Ayurveda to achieve such balance in the mind and body. These plants can may be derived from roots, leaves, fruits, bark, or seeds such as cardamom and cinnamon. 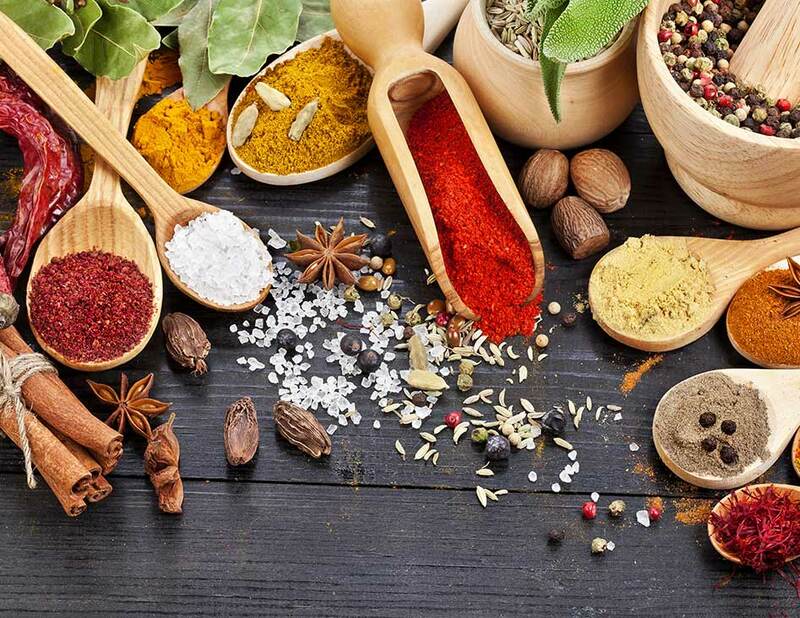 Ayurvedic herbs are used for many reasons: to maintain overall health; to boost immunity; support mental clarity and focus; to calm the nerves; to improve digestion; to protect the body from toxins and support the detoxification process; and to support innate healing processes. 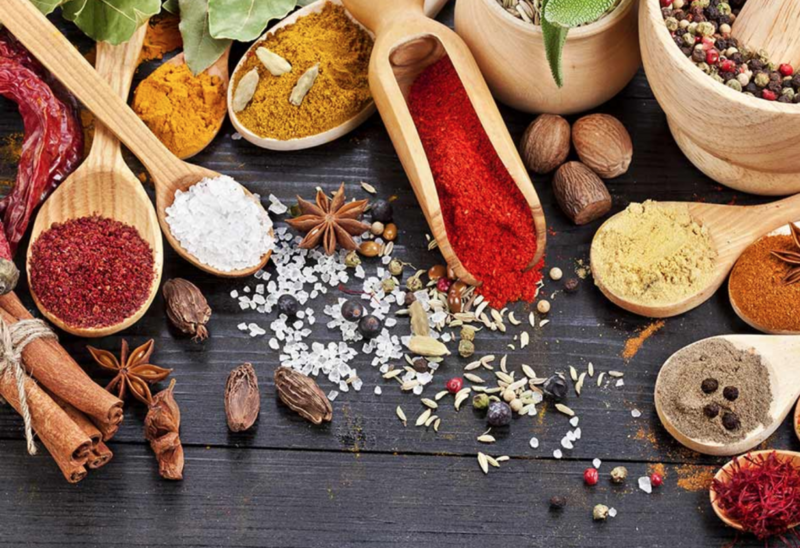 According to Holistic Primary Care, there’s an idea in Ayurveda that, “What heals, also prevents.” Herbs effective in treating specific conditions can also serve as a “food,” providing targeted nourishment to specific physiological systems and processes. For example, Turmeric (Curcuma longa), popularized for its anti-inflammatory properties, can also be eaten as a culinary spice by people looking to proactively prevent disease and maintain good health. Today, Ayurveda—known as a complementary health approach in the United States—is thought to be one of the world’s oldest medicinal systems. And many of its broader teachings (the importance of a healthy diet, the power of deep sleep and meditation, tuning in to the body’s natural rhythm) are just starting to be supported by those peer-reviewed journals and modern-day doctors. In October of 2017, the Nobel Prize went to scientists studying circadian rhythm, discovering how “plants, animals, and humans adapt their biological rhythm so that it is synchronized with the Earth’s revolutions.” True practitioners of Ayurveda benefit from understanding the balance of their doshas (or energies that make us up) and zero in on specific teachings of the health system which include powerful plant based remedies utilizing Ayurvedic herbs. Ayurvedic Blends are key ingredients to the precision formulas in The Root of It All™ Essential Oils and Topicals. That’s because Ayurveda is an ancient philosophy of holistic wellness addressing a wide variety of everyday conditions including (but not limited to) stress, lack of energy, and sleeplessness. And here’s where it gets really interesting… Did you know there are specific strains of cannabis plants that have been used for a millennia to help balance the mind and body too? Yes, it’s true! Cannabis has some wellness powers too! 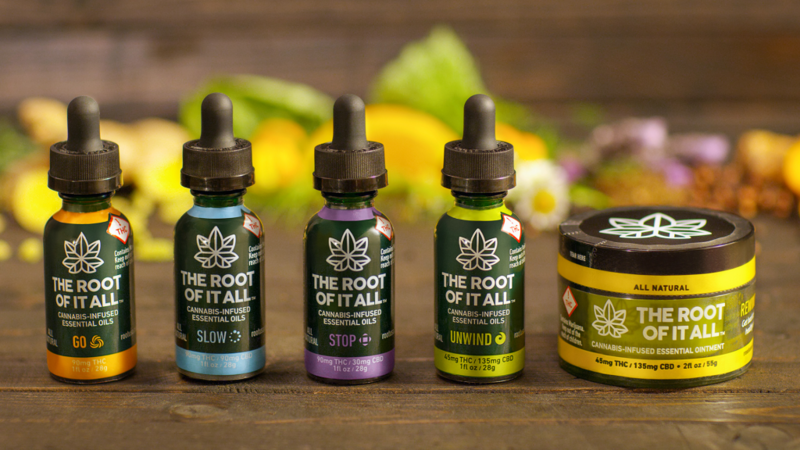 Here’s where The Root of It All™ takes center stage – we are crossing new frontiers on our quest to discover the source of well-being, by creating pioneering therapeutic combinations of powerful plant-based remedies for a range of everyday conditions. 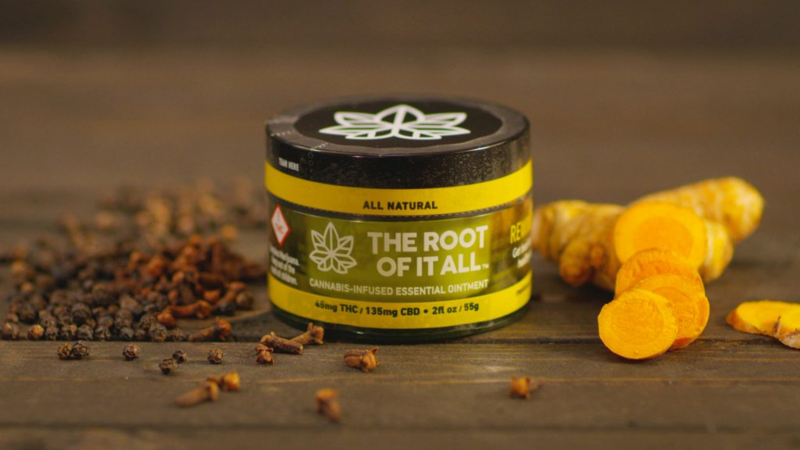 This means The Root of It All™ Remedies selectively pairs proprietary cannabis extracts with unique blends of Ayurvedic herbs & spices to form a synergistic system that targets your everyday conditions, and it works fast! How fast does it work? Very Fast! 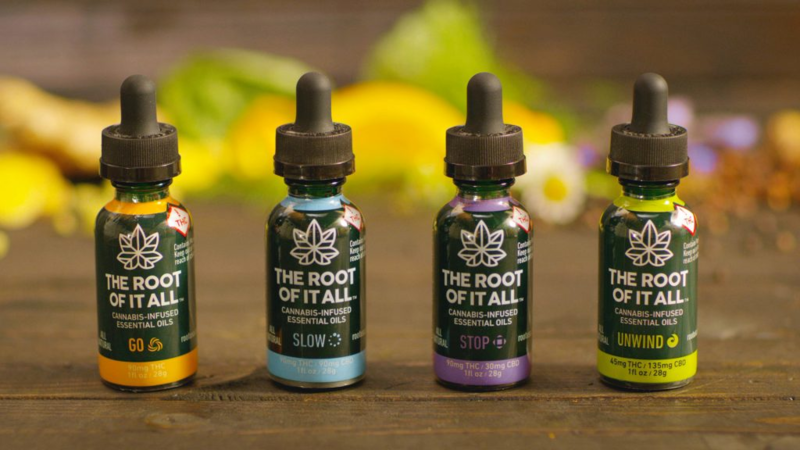 The Root of It All™ remedies (oils & topicals) bypass the digestive tract and enter the bloodstream more rapidly allowing The Root of It All™ essential remedies to deliver faster, natural relief for your specific condition. Bonus: There is no cannabis smell or taste in The Root of It All™ products – which means a better experience for you with all the Ayurvedic benefits you can handle! All-Natural Means No Artificial Chemical Carriers. The Root of It All™ does not use artificial chemical carriers. 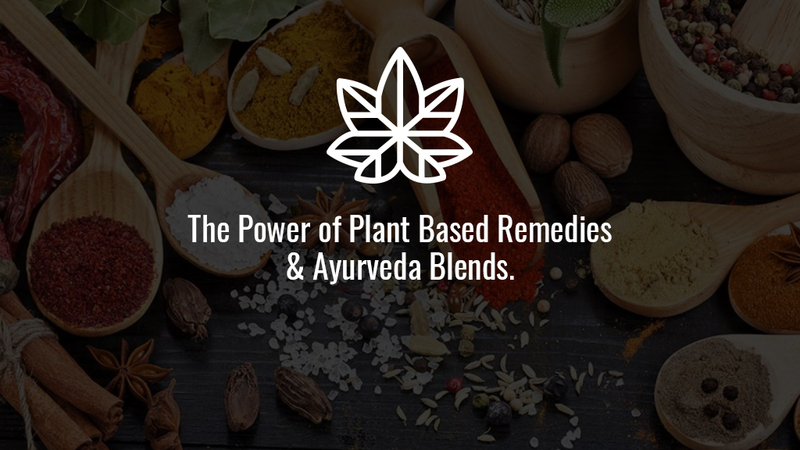 Instead we focus on ingredients and herbal blends that utilize all-natural ingredients, keeping the ancient traditions of Ayurveda alive today in each of The Root of It All™ precision formulas for your everyday conditions. Our powerful plant-based ingestible oils are designed for everyday conditions! New to ingestible oils? They are easy to use, and they work fast! Our formulas are natural and entirely fat-soluble. You simply apply the dropper contents under your tongue and enjoy! And while you are savoring the culinary quality of flavors derived from our unique blend of Ayurvedic spices and botanic herbs – the oil is actually facilitating faster absorption – which means faster results in your body, naturally! The only question is – what pace suits you best? Tinctures not your thing? 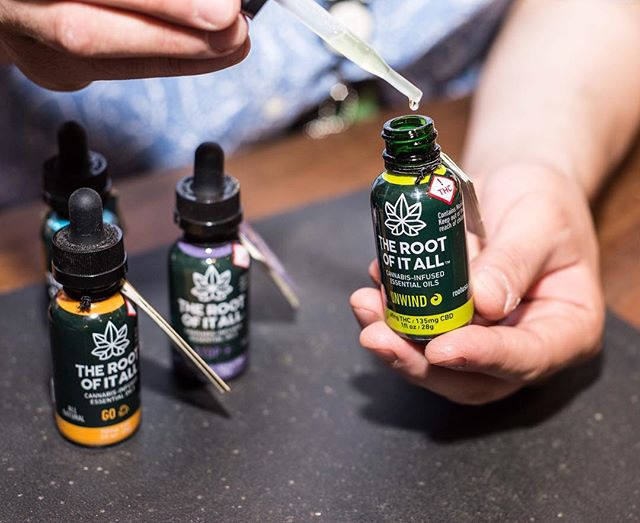 Try The Root of It All™’s Cannabis-Infused Essential Topicals, powerful plant-based remedies for everyday conditions! Our easy to apply topicals relieve the tension from muscle aches, spasms, sore joints. Which Root of It All™ formula is right for you today? The Power of Plant Based Remedies & Ayurveda Blends. Now’s a great time to experience powerful, plant-based remedies that uniquely balance the mind and body. Ayurveda is 5,000+ year-old eastern medical practice that is making its way westward. The Root of It All brings ancient remedies to the modern era. Supplement your health today! For everyone who shares our quest for well-being and the balance of mind and body, restore and renew your body with The Root of It All’s™ Essential Remedies! Our products are powerful plant-based remedies balanced with natural cannabis – that are fast and effective. 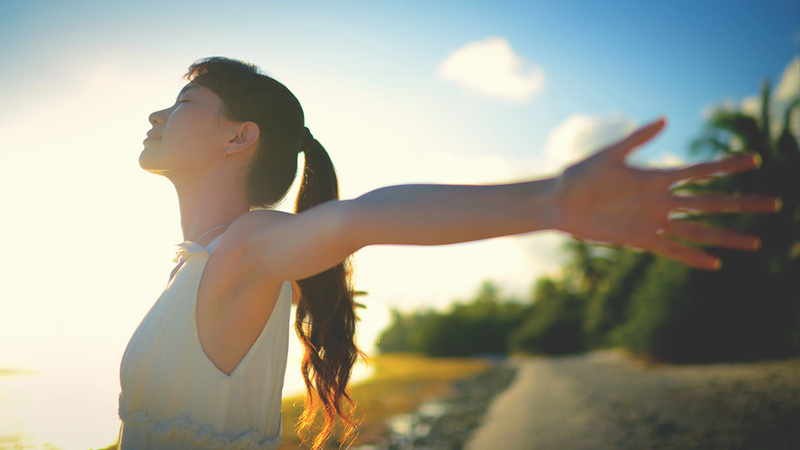 Whether you are looking for more energy, or seeking calm and mental clarity, looking for a more restful sleep at night, need to recharge your body from the inside out, or get fast relief and restoration from sore muscles and joints – Discover your healthy self with The Root of It All™ Cannabis-Infused, powerful plant-based remedies for everyday conditions! It’s time to experience unrivaled performance you can rely on, the natural way! Click here to learn more. Your Body Asks. Nature Answers. Millions of people around the world use cannabis every day to promote health and wellness. As a natural herb, its unique chemical construction offers incredible potential. Here at The Root of It All™, we recognize that potential, but we also understand that cannabis does not stand alone as a natural remedy. Our products combine cannabis-extracts with blends of Ayurvedic essential oils because we know that the natural-world has much to offer. Ayurvedic remedies have played a role in physical and emotional wellness for thousands of years, and today herbal essential oils still offer practical benefits. Essential oils are potent distillates of plant matter that amplify the natural qualities of the plant. They’re intensely aromatic and flavorful, but more importantly, they effectively promote physical and emotional wellness. Herbal remedies are known to be effective in areas such as enhancing mood, improving digestive health and soothing muscles and joints. But Ayurveda is not just about using herbal products, it’s also a philosophy of life. A basic tenant of Ayurveda is balance, because a balanced approach to life is thought to be the ultimate preventative medicine. This balanced approach should also be taken in regards to the consumption of modern medicine. Our products seek to strike this balance. The Root of It All™ essential oil products aid the body in becoming its best self. Because when your body asks, nature answers. Nature has given us tools for invigoration and relaxation. It has given us scents that smell of serenity, and flavors that conjure vitality. And beneath these sensations, nature has given us balanced, preventative herbal solutions that can provide a life well-lived in comfort. We have simply brought these wonders of nature together – in balance. With the advent of modern cannabis-infusion techniques, we aim to strike the same balance. In our experimentation to create exceptional products, we discovered that cannabis’s most incredible quality is its versatility. In each of our products, we employ cannabis in a balancing act to find the best complement to each unique essential oil blend. And in each product, we believe that we have created effective Ayurvedic alternatives for those seeking a balanced lifestyle. The Root of It All has been launched in 5 cities across the Denver and surrounding areas. 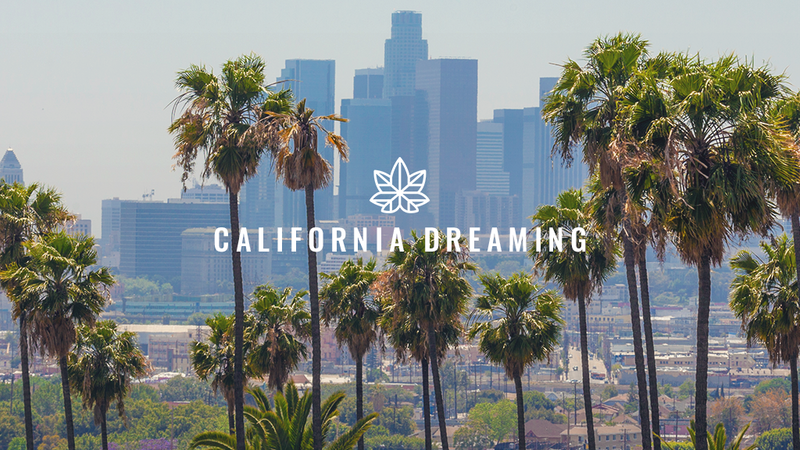 Take a look at our store locator to find out if your dispensary carries our products. Not listed? Ask your budtender to contact us!